Jiangmen City Xinhui Wingvah Stainless Steel Manufactures Co., Ltd is a fast developing HK-China Joined Venture Company. It was founded in 1998. 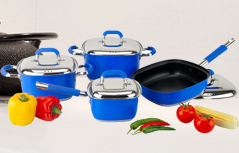 We are specializing in high quality stainless steel cookwares and kitchen accessories, our products cover from household to catering.